Kathryn & Gui’s fairytale French chateau wedding is published on French Wedding Style blog today! Stylish blog French Wedding Style is the go-to place for couples planning their wedding in France. With gorgeous real French weddings in venues across the country, inspirational editorial shoots in chateaux and vineyards from Paris to Provence, a directory of fabulous wedding suppliers based in France, and lots of advice about marrying in France, it is an invaluable resource for French brides-to-be. As ever, it is such an honour to have my work published, so huge thank you to Laura dn the team at French Wedding Style for the lovely feature! Kathryn & Gui’s wedding was held at Chateau de la Couronne in the Charente region of South West France, a proper fairytale chateau (complete with turrets! ), and was an absolutely beautiful French wedding. 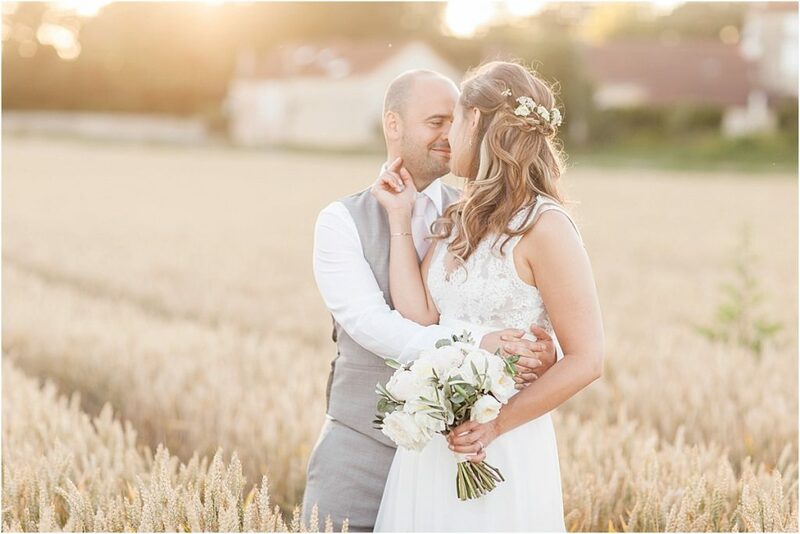 One of the best things about getting married in France is the weather, and this didn’t disappoint, with gorgoeus sunshine all day, enabling Kathryn & Gui to have their ceremony, cocktail hour and dinner outdoors. We were also blessed with the most stunning golden hour light AND a perfectly placed cornfield – a dream for a fine art wedding photographer! 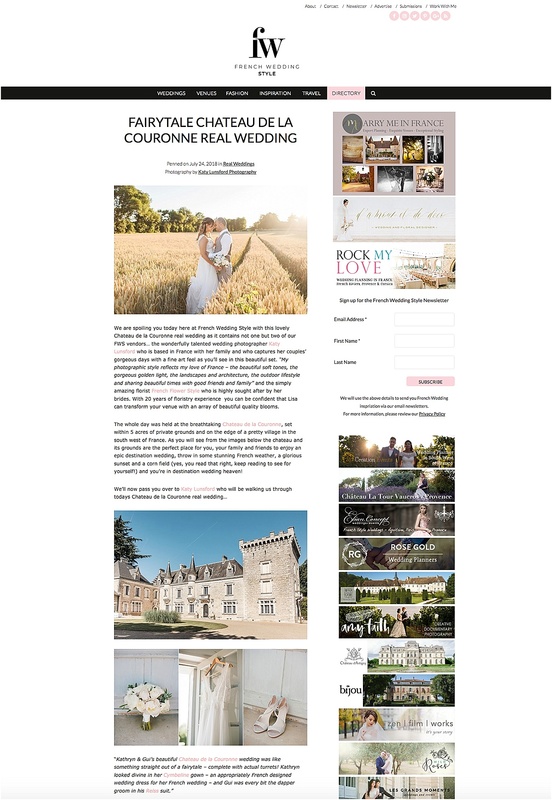 Chateau de la Couronne is stunning inside and out, has plenty of accomodation for wedding guests, and a gorgeous swimming pool in the grounds, so is the perfect location for a destination wedding in France. I have been back a few times for weddings this summer, and it is fast becoming one of my favourite chateaux! You can see the French Wedding Style feature here, and if you want to see more photos of this beautiful French wedding the full blog post is here.